Welcome to my Kimchimari blog. And here’s the story about me (written in 2011). Of course, there are professional interests and goals that I have but I won’t bore you with those. And then there are many other things that I should do – clean out the garage, get new window treatments for our bedroom (the temporary paper blinds are still hanging strong after 3 years! It’s not going to be pretty when we take it off!! ), sort out the closet, the list goes on and on.. But as a mom, I realized that my job is not done yet. There are still so many things that I didn’t get to teach my daughter before she left home-especially about Korean food- not just about cooking, but about the ingredients, about how different foods affect your health and about everything else that you just cannot learn from a book. And with the recent discovery that both my daughter and I are very sensitive to gluten, cooking at home has become even more important. We both tested negative for Celiac disease but we just know that if we keep eating gluten, it eventually starts to upset our bodies in many ways. We kind of lucked out in that sense because many Korean foods are actually gluten free- another reason why I need to teach her about cooking Korean! 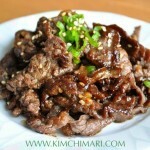 But this Korean Food at Home blog is not just for her. It’s also for me- because it’s about what I always loved doing. I always had a passion for good food and I find great joy in cooking, eating and sharing them. Growing up, I spent a lot of time in the kitchen –not because I had to help out but because I just loved eating (yes, I was a bit overweight growing up). Actually, my whole family loved to eat and even though we had maids (labor was really cheap in Korea many years ago), when our family wanted to celebrate or enjoy a fun time together, we all gathered in the kitchen and cooked our special recipes. Being the youngest of five children, I spent a lot of time watching and learning how the wonderful dishes were made by my dad and my sisters (sometimes also my mom and brother 🙂 ). I loved watching them cook because I knew if I learned it well enough, I could make it for myself anytime-just the way I wanted. I also loved to experiment with different food pairings even as a kid. I am a firm believer that pairing foods is just as important as cooking. One of my favorite pairings (my sisters and brother always called me crazy and strange when I ate these together!) was to eat apple pie and salami together. Another great pairing is the Korean yakwa and salami. You see the trend.. Yes, salami was and still is my ultimate favorite! And I’m sure you have tasted the savory and sweet pairing that has become more popular these days. Pairing brie cheese with fig preserves or prosciutto with honey dew melon are all based on similar concepts. I think I was just ahead of my time.. 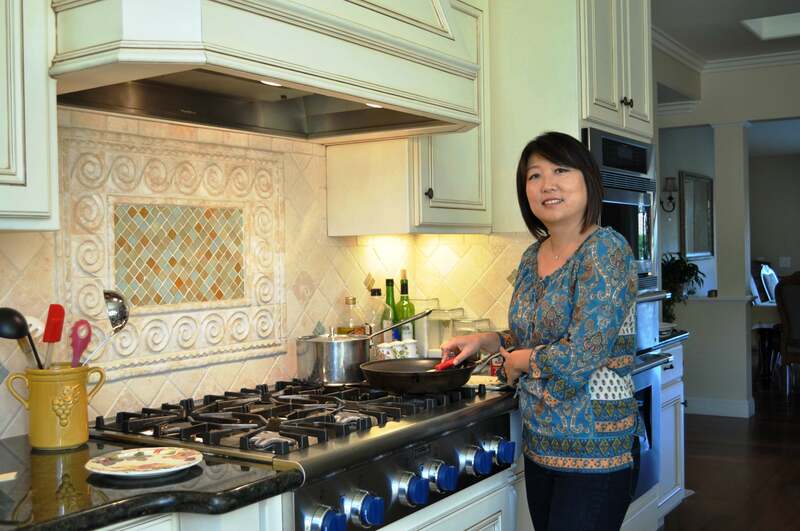 Besides my family, I have also been deeply influenced by many great ahjooma (Korean word for older married women) cooks I’ve met here in the states. I hope to post their recipes somehow. I know so many wonderful cooks and mothers around me who may not get to share their tidbits with their children due to language barriers or other issues. 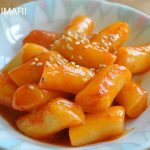 So, I guess, in a broader sense, I hope to make this blog a place for our children who want to cook and eat Korean food at home as well as for anyone else who might be interested in learning and sharing about real Korean food-sometimes in a simplified way compared to the ways of our mothers, but still very traditional and totally Korean. You may have already read my posts on moving to Korea but just in case.. In early June 2012, my husband and I moved to Seoul. I am still blogging about Korean food and also plan to learn more and experience as much as I can about Korean food while I am here. It’s been about 5 months already and I am finding that Korean food has changed so much (almost too much in my opinion) in the last 20 years. Perhaps it’s a global trend…I feel I must taste and learn all that I can before the traditional ways are totally lost. Is it just me? But I feel with the exposure of foreign ingredients and tastes, the tastes are becoming all muted..I have visited very few restaurants (other than the ones that have been famous for 20+ years) that was so good I had to return. I have now returned to my lovely place in California since Dec. 31 2014. I am VERY happy to be back in the US with all the wealth of experiences and education I got in Korea. So in case you want to know, here’s what I have done since I started my blog in 2011. So glad that I found your blog and IG feed. I recently watched Jewel in the Palace and have rarely enjoyed a tv series as much as this one! I love the way the food is prepared, though I’m not able to eat spicy food, and am not used to some of the flavors! But there is something about the preparation that is captivating. Then I watched Little Forest, a film which also included a lot of cooking and traditional foods. Also watched the episode of Chefs Table with Jeong Kwan. Even if I don’t especially love the taste I love making it, which is funny. Are you in the Bay Area? I’m nothing of SF in pt. Reyes. So happy that you found me too!! I will have to try watching those series sometime but yes chef Jeong Kwan is def my favorite chef’s table episode. Yes I am in the bay area!! 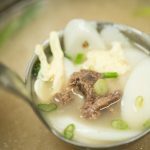 Do you know of anyone who takes small groups to Korea for tours related to food including some instruction? I just listened to a podcast with Youngmin Lee who makes traditional Bojagi and other Korean textile arts. She does a Korean textile tour every year which would be amazing, but I wonder if there is something similar for traditional foods? Sorry for typo in my first reply, I meant that I live north of SF do you ever teach classes? HI Cynthia – I have a friend in Korea who I think does food tours every now and then. I have been talking with my sister (who is also a foodie) who lives in Korea about doing a food tour for me but we have not started it yet. I don’t teach classes..I do have a list of people who are interested and I’ve thought about it but it’s kind of hard to find the time.. will add you to the list and let you know if I start teaching. Thank you! So glad that I found your blog and IG feed. I recently watched Jewel in the Palace and have rarely enjoyed a tv series as much as this one! I love the way the food is prepared, though I’m not able to eat spicy food, and am not used to some of the flavors! But there is something about the preparation that is captivating. Then I watched Little Forest, a film which also included a lot of cooking and traditional foods. Also watched the episode of Chefs Table with Jeong Kwan. Even if I don’t especially love the taste I love mms king it, which is funny. Are you in the Bay Area? I’m nothing of SF in pt. Reyes. Hi from India. I really want to try this recipe but in India I can’t find any ingredients like glutinous rice flour or Korean chilli flakes or hot pepper paste or frozen rice cakes. Somehow I found glutinous rice online but I couldn’t make a smooth powder like flour from that and I failed twice. 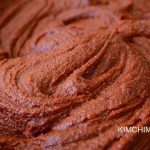 What can be the option of Korean chilli powder/flakes or rice cakes? I can try once again to make rice cakes from remaining rice. But how to make it without other ingredients? HI Binny, Thank you for your interest in Korean food. I’m not sure exactly which recipe you are trying to make so it’s hard to give you the right answer but honestly, rice cake (tteok) is not something that’s easily made at home unless you have the right equipment. And hot pepper paste too is not something you can substitute easily. The chili flakes, you can dry red Indian chili peppers (find ones that are least spicy) and crush them and use. I’m sorry I can’t be of more help. Anyeonghaseyo, JinJoo! I’m DELIGHTED to have discovered your site whilst searching for a South African recipe for oxtail stew online. I spent 16 years in SK (instead of just the planned ONE year) and miss my second home daily! Both my daughters also had the privilege to live and work there for significant periods of time and we all LOVE and hanker after not only the food, but the precious people and rich culture we grew to love deeply whilst there. Whenever we get together back here at home in RSA, we cook Korean favourites and talk about when next we’re going back to visit the place and people we so miss and love. What’s most exciting for me is that your cooking is gluten-free as thanks to the genius of my Opthalmic Surgeon of 10+ years, Prof. Kim Jae Chung from Chung Ang Daehag, it was discovered that all my maladies were caused by gluten and sugar consumption (long story!). So we have a lot in common and I hope we can share some fun thoughts now that we e met….virtually! 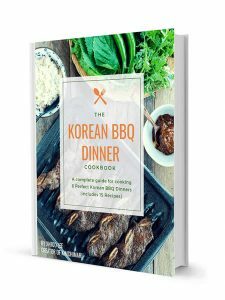 In the meantime, thanks for keeping up with this blog and know that my first attempt at trying your recipes will be making the bulgogi…next galbi and of course the fabulous side dishes. Fortunately I brought enough gôchujang and daengjang along to last a while. You are an impressive woman! I love Korean food, i think it’s the best food in the world (no offense to other countries). I used to live in Koreatown, Los Angeles so i would never have to cook for myself but recently I moved to the countryside in England so i had no choice but to cook for my husband and I.
I love eating Korean food so your blog has helped me out a lot with choosing what to eat for dinner. 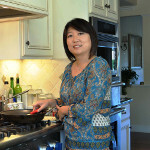 I am so happy to hear that you are able to cook Korean food for yourself and your husband with my recipes!! Thank you sooo much for letting me know – it really makes it all worthwhile. Hope you have a wonderful 2019! Hi! 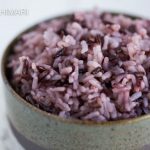 I’m from the Philippines and I just want to say that I hope your blog stays active for a really, really long time because I love how you’re sharing your recipes and experiences and thoughts, and how you’re being interactive with everyone. 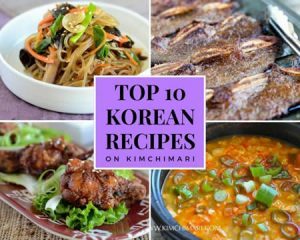 There are a lot of Korean restaurants here but I want to learn how to cook Korean dishes simply because I want them to taste authentic and not skimping on any ingredients and skip steps in preparation. I also think Korean dishes are so healthy (and can I just say you look awesome for a mother of a college student!). Thank you so much for this blog! Wow – thank you so so much. Your words mean a LOT to me and totally made my day! 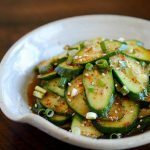 Unfortunately many Korean restaurants do a poor job of representing how delicious and healthy Korean food can be so I THANK YOU for looking onto authentic Korean recipes and trying them out. And thank you for the sweet compliment about my picture..haha.. it would be different if it was a close-up! HAHA.. Have a great day and thanks again. Hi! I’m Yvonne from Malaysia. I’m Chindia – mixture of Chinese and India ethnic. I loves cooking and baking. I follow your blog because my children and myself love Korean food especially my second daughter.Thanks for sharing and keep up the good job. Take care. Hi! I’ve spent the last 9 months exploring my Korean family history. My late (1954) grandfather was awarded a “Patriot of Korea” medal on February 14, 2017. Our parents and uncles and aunts have all passed away and unfortunately all of us surviving relatives have very little knowledge of our grandparents’ history and accomplishments. Our uncles and aunts spoke very little about family history. 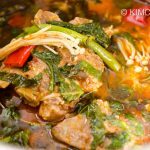 One thing that came out of renewed interest in our family history was teaching myself more about Korean cooking, To date, I’ve tried about thirty recipes of mostly street food and what I would call basic home cooking. Having just turned 73, I’ve tried to share the new things about our history with my cousins and most importantly, I’ve continued learning new things, and sharing what I have learned about Korean food and cooking, thanks in large part to you. I am so excited that I jut came across your blog! I can’t wait to begin some recipes! I am 100% Korean but i was adopted and grew up in Colorado. Not exactly many Koreans where I was. Anyway I have since lived on the west coast close to Vancouver, BC and I love Korean food! So thank you for your blog! Oh.. and I am so glad to hear that you found your way to Korean food. 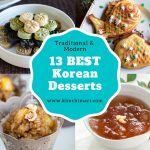 I also try to share a lot about the culture behind Korean food so hopefully that will give you a better understanding of Korean culture too. Thanks for your comment. I tried sending a message last week but I don’t think it went through so here I am again! I really enjoy your recipes! This is a small world because you are a church friend of my auntie! She told me about you because she knows how much I love cooking but I already knew who you were through your recipes!!! I beat her to it! I have always wanted to blog before blogging was a thing! I didn’t know how to start one and still don’t. LOL! I love cooking all types of foods and also love being crafty! I hope someday I can meet you through my auntie!! Hi Sylvia, OH yes, your auntie told me!! She told me the story of how you already knew about my blog..haha..what a small world. There are many how-to blogs on how to start a blog online and it’s pretty straightforward. At least starting it anyway. I use wordpress and have liked it a lot so far. If you have other questions, feel free to ask me anytime! Thanks you so much for stopping by.